Welland is earning kudos for its flatwater centre which this week is host to the 2018 International Canoe Federation World Canoe Polo Championships. Welland has been taken over by players from around the world for the event that starts Tuesday. All of the city's hotels are booked with teams, their families and officials. Chelsea Serreira, a front desk worker at Canada's Best Value Inn, said the hotel "is completely filled with players" including teams from Australia, Sweden and Russia. 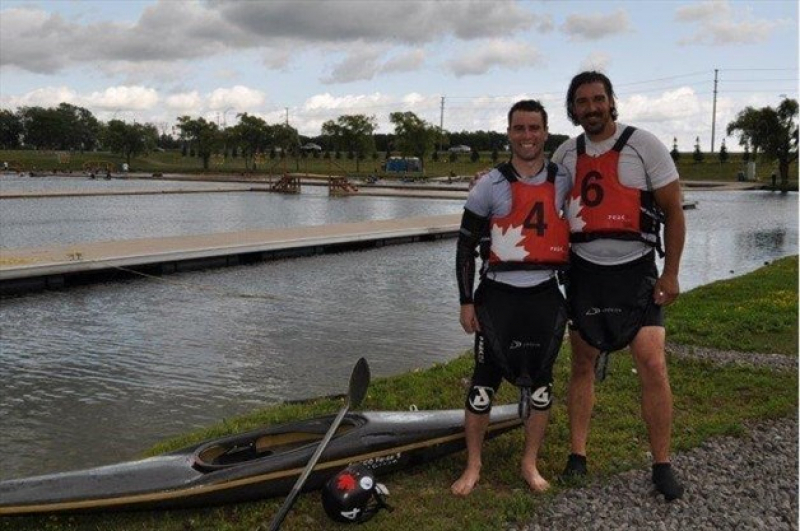 Welland International Flatwater Centre is hosting the event, which runs until Sunday, Aug. 5. Kyle Polsfut and Richard Allen, players on the Canadian senior men's team, are excited to be playing at WIFC and had only praise for it. "It's awesome," Polsfut said. "I was here once before when they had Canadian nationals in 2013. It's a nice little venue to have. Usually we're the ones going to Europe to play, so to be at such a prestigious venue is great." Said Allen, "It's a great setup. It's going to be great." Both men are from Edmonton and say that having the championships in Canada makes it easier for friends and family to cheer their team on. "Being in Canada makes it a little more special," said Polsfut. "People are making the effort to be here, even though it's still a trek here from western Canada," said Allen. "The competition is just fun. You get all these different countries that come out, and the fact that we get to do it in front of a home crowd is pretty special. It's fun to be able to do that and show a lot of our friends and family the sport that we love doing so much." Polsfut, Allen and the rest of the Canadian team had an exhibition game Saturday afternoon. "We're feeling really good," said Polsfut. "We have quite an experienced game. A lot of us have been playing together for a really long time. I think half of our guys play in the same club. It's been a long time coming for us to get to play together here."